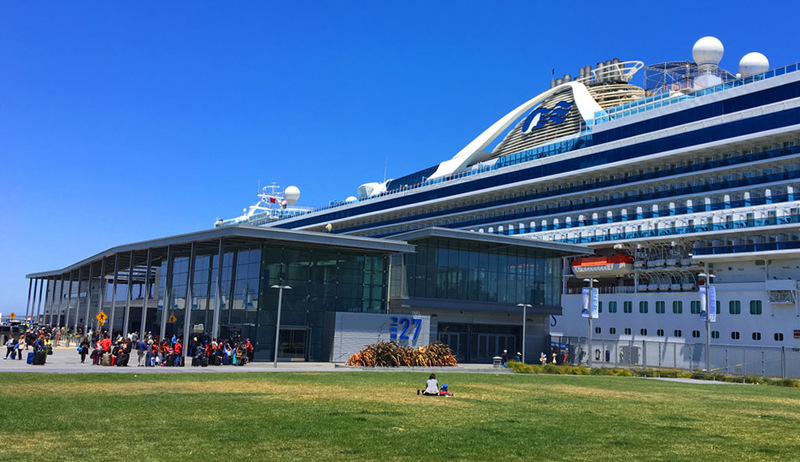 The Port of San Francisco selected Piers 27-29 for a worldclass cruise terminal to meet an increase in anticipated demand, from 80 up to 118 yearly calls. The site has been used as an overflow cruise terminal when more than two ships berth in San Francisco at the same time. Key project transportation issues involve minimizing conflicts with high volumes of pedestrian flows along the Embarcadero promenade and traffic impacts along the Embarcadero. CHS Consulting Group has been involved in this project since the conceptual design phase. Working with Port of San Francisco staff, we developed several conceptual circulation options for all transportation modes (pedestrians, autos, taxis, buses, and trucks) to access the cruise terminal from the Embarcadero, as well as internal circulation plans. The key issues included the number of curb-cuts off the Embarcadero, access for passenger vehicles, taxis, buses, and trucks, circulation, parking, and storage on the project site. As part of the design development phase, CHS conducted a detailed survey of passenger trip-generation counts and travel behavior for both home-port and non-home port ships and used the data to develop a refined passenger volume forecast by mode and by hour for both arrival and departure periods, and for both base-case (2,600-passenger ship) and optimal-case (4,000-passenger ship) scenarios. CHS also developed a detailed VISSIM microsimulation model to test two major design options for vehicular and pedestrian circulation inside Piers 27-29. The microsimulation analysis includes proposed traffic operations and management strategies during the peak passenger arrival and departure periods. As part of the final design team, CHS used VISSIM to provide detailed design parameters and signing and striping of the vehicle/taxi passenger drop off zone, bus loading zone, and truck access.